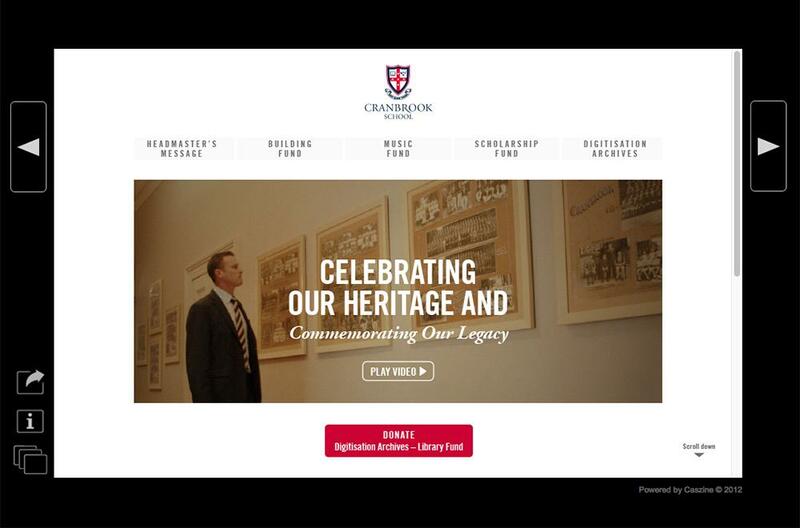 Cranbrook is a Sydney Anglican independent day and boarding school for boys, Pre-school to Year 12. 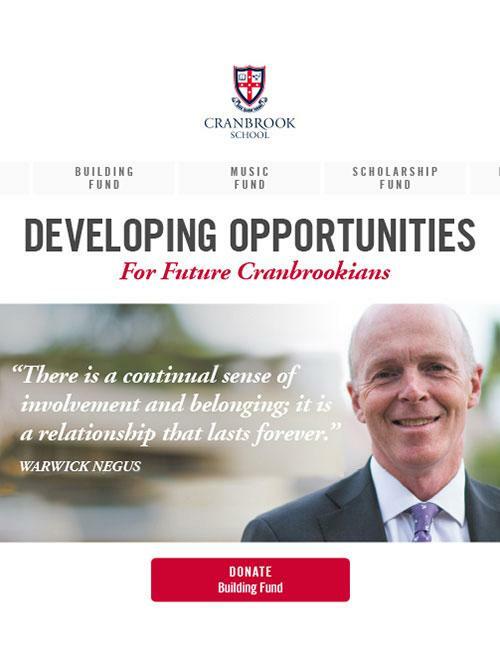 We were asked to provide our CASzine Interactive Digital Publishing platform for their 2016 Annual Appeal to parents and Old Boys. With CASzine's extensive analytics, Cranbrook Development Office staff have been able to determine which aspects of the Appeal have the most appeal and which have the greatest conversion.